Laila El-Haddad, author of "Gaza Mom: Palestine, Politics, Parenting, and Everything In Between" and co-author of "The Gaza Kitchen: A Palestinian Culinary Journey," is a talented blogger, political analyst, social activist, and parent-of-three from Gaza City. She is also a contributing author to "The Goldstone Report: The Legacy of the Landmark Investigation of the Gaza Conflict," and a policy advisor with al-Shabaka, the Palestinian Policy Network. She received her BA from Duke University and her MPP from Harvard’s Kennedy School of Government. From 2003-2007, El-Haddad was the Gaza stringer for the Al Jazeera English website and was a regular contributor to the BBC and the Guardian online as well as radio correspondent for Pacifica’s Free Speech Radio News. During this time, she co-directed two Gaza-based documentaries for Tourist with a Typewriter Productions that aired on Al-Jazeera English, including the award-winning film Tunnel Trade. She has been published in the Baltimore Sun, Washington Post, International Herald Tribune, The New Statesman, The Daily Star, Le monde diplomatique, and has appeared on CNN, NPR, and Al Jazeera. 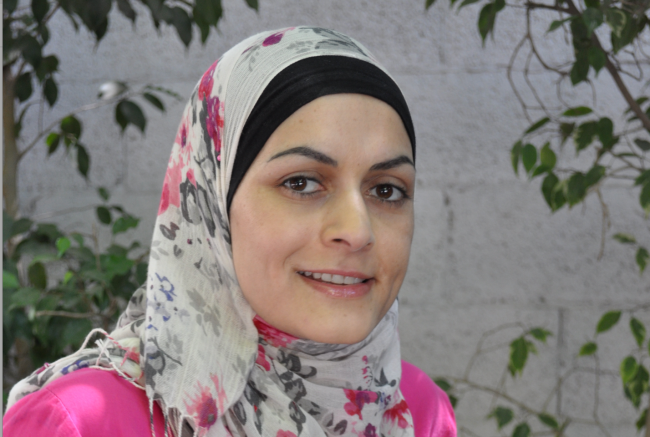 Since November 2004, she has authored an award-winning blog now known as Gaza Mom.